The Code of the Woosters (by P.G. 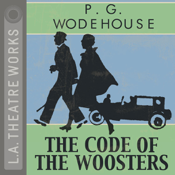 Wodehouse) is presented by L.A. Theatre Works. This standalone audiobook app combines a professional audio recording with supplemental features for download-once, grab-and-go anywhere enjoyment. In the best known of the Bertie and Jeeves series, Bertie’s aunt pressures him to steal a silver creamer, and he nearly gets lynched, arrested and engaged by mistake. As always, Jeeves is on hand with a last-minute brainstorm to set everything straight. An L.A. Theatre Works full-cast performance featuring Rosalind Ayres, Patrice Egleston, Martin Jarvis, Kelly Nespor, Kenneth J. Northcott, Henry M. Odum, Mark Richard, Nicolas Sandys and Thomas M. Shea. 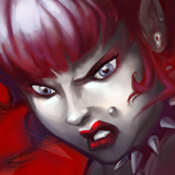 DURATION: About a 2 hour performance.